Hungry Birds is available as a free App on the App Store (only an iOS version is available at this time). Take it for a test drive! The best way to evaluate Hungry Birds is to play it. We’ve spent a lot of time and energy building the game and we think it speaks for itself. On the App Store the game is called Hungry Birds EDU, to distinguish it from numerous other apps with similar names. Easy to play, simple to understand, aligned with K12 learning objectives. We think it makes the perfect addition to natural history, biology, paleontological, and evolutionary exhibits. Let them learn by doing! For the same reason, the ‘Advisor’ is always selected randomly. The App is designed for classroom use. 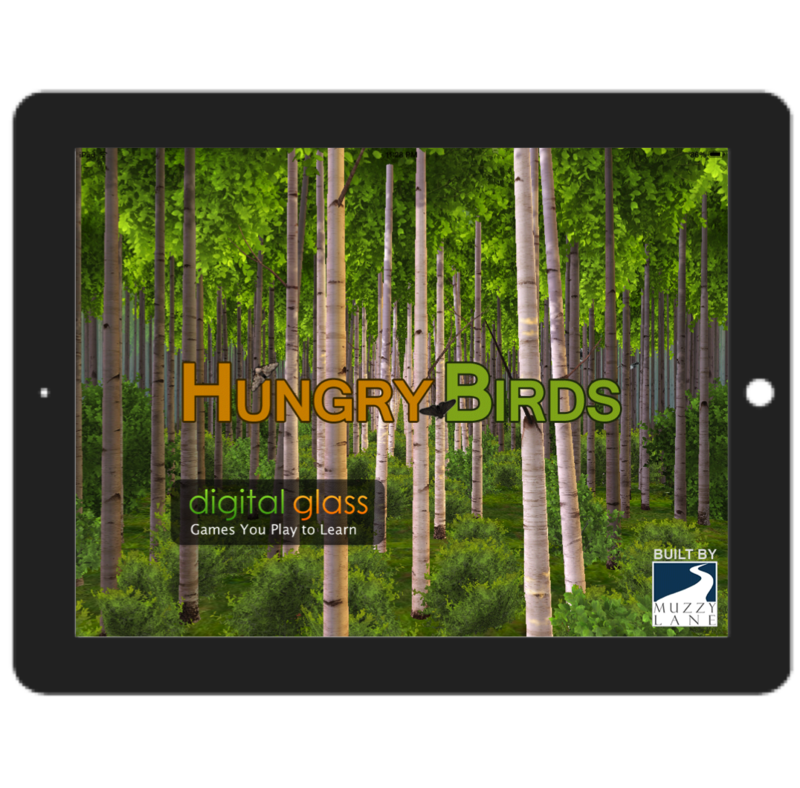 Digital Glass also provides teacher materials on this website for use before, during and after a class visit to a museum or science center that has the Main version of Hungry Birds. The free App supports further discussion and learning. Please Note: The App is licensed only to play on an iPad. It may not be played on any other device or on a larger screen of any kind. Also note: The App has branding on the first and last screen (Digital Glass and Muzzy Lane). There is no branding on the version that plays in museums and science centers (the Main version). Call us to order Hungry Birds! Call 1-888-600-5054 to find out how to get Hungry Birds into your Science Center or Museum. Call 1-888-600-5054 to order Hungry Birds for your Science Center or Museum!